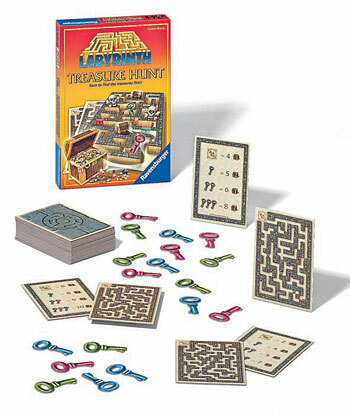 With their eyes only, players race through the corridors simultaneously to discover how many treasures can be reached in the many passages of the Labyrinth. Which corridors lead to treasures & which are blind alleys? Who'll be the first to shout out the right number? Beware of the secret doors that open with your keys! Great fun for the whole family!